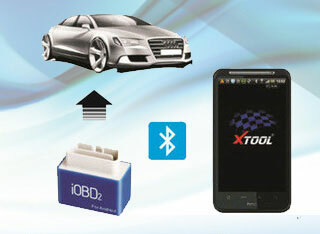 Reviews About OBD2 Bluetooth Scanner For iPhone,iPad,Android.Information about iPhone,iPad,Android Phone. here is 200 brands 06.2017 rar package without any passwords. APK inside. All what you need for work. English included. it’s launch easydiag hack! ILLEGAL to use!! No longer have launch easydiag problems!! In the archive there are 2 folders, 2 installation file and a PDF file (an instruction in Russian how to use, how to register, etc., that comes with the scanner, but in English). 2. To make it easier to work with folders and files, I suggest you create a folder on the desktop, such as “scanner” and to rewrite everything from uncompressed folders Easydiag . And keep the original, just in case, for future experimentation. In the folder “Scanner” will lie files com-cnlaunch-easydiag , Pro3_3.06.011.05 and folders 96859_v22.37 , VEHICLES . Create a folder, for example, “AUTO” and it throws the needed stamps from VEHICLES folder. For example, AUDI, BMW, BENZ, HONDA , NISSAN , etc. China is unlikely we’ll ever need. Delete the folder VEHICLES, not to interfere. 3. Set to Play Market EasyDiag program (only her and not some other) on a smartphone or tablet. 3a. If you can not download (no internet on the phone), then the use of our folder “Scanner” file com-cnlaunch-easydiag . Copy it to any folder on the phone, I usually use the Download folder. Go to settings, find the “Security” and it put a check “Unknown sources”. And then click on the file com-cnlaunch-easydiag . After installation, do not forget to remove the check mark. 4. it Installs. Open the program (there is another link, then you can delete it). Scrolls (there shows how to register) and go in the program. By registering yourself (username and password write down in a safe place) and register the scanner – the serial number and the code you received with your scanner. (Login, password, and serial number and the code, I would be duplicated on any piece of reliable, in the event of loss of the original). 5. Next, click on the “Menu” button (in the upper left corner – three dashes) and see 6 buttons. We need – “Upgrade from a single button” . We go and see three lines – Firmware, EOBD and DEMO. We need the EOBD . There is a default V22.41 (version), click on the numbers and there is a black box, with versions of the EOBD, finger scrolls to version 22.37, choose it. MUST only her and not any other. The ticks with DEMO and Firmware can be removed. And click on the button siniyu – set EOBD version 22.37. After installing EasyDiag exit the program. in the V22 folder .37 LICENSE.DAT find and copy the file and paste it in a folder 96859_v22.37 , which is in our folder “scanner” . 7. Now the contents of the folder 96859_v22.37 , along with our license file, inserted into each brand (folder) that you have selected in the folder “AUTO” . For example, AUDI folder in her V27.66 folder. And so with all brands. When copying, it prompts you to replace some files, or rather two, agree. 8. Now, these brands (folder) is copied to the phone on the way cnlaunch / EasyDiag / 96 859 ******* / DIAGNOSTIC / VEHICLES / folders DEMO and EOBD2. 9. Turning off the phone from the computer. In no case do not run the program . Go to the phone – in settings-manager application-EasyDiag. Press “STOP” button. In memory of clean data and cache (my 6th andoroid, you might have a different location). 10. It is only after you have cleaned the data and shut down the program, you can go into it. Again, scroll through and ASO, machinery steels without arrows down, ie, they are activated. Enter again your login and password. Press the MENU button, go to the “I”, go to “Activate Device”. See the information – should be written at the bottom of your scanner is activated (serial number). And the last manipulation – are back on the menu, find the Settings button, then – Settings for the App and hold your finger on – Show only models to strip turns red. Will now be visible only to those brands that you activated (that you threw into the folder “AUTO” and then on the phone). 11. Now we will improve our program. Again connect your phone to a computer and use the file Pro3_3.06.011.05 . We throw it in the Download folder. In general, we do the same as written in paragraph 3a. 12. Now we go on the way cnlaunch / EasyDiag and 96,859 ******* folder (a folder of your serial number) is copied with all its contents to a folder on your phone cnlaunch near EasyDiag folder. Exit and disconnect the phone from the computer. That’s all. Now you have the version PRO. It has more functions than just EasyDiag. This you can then compare by going to one or the other program, but rather empty your scanner worth $ 40 turned into a professional diagnostic tool costing a couple of thousand. Incl. How to update X431 EasyDiag scanners to Launch X431 EasyDiag 2.0 Plus version. Items from 2 to 5 minutes , such as in the old method. 6. Set the X-DIAG_PRO3_V3.09.015 (take the file from the archive). We go into it and immediately exit. The program creates the necessary files and folders. 7. Remove the the X-DIAG_PRO3_V3.09.015 . Where ******* 96,859 – number of your scanner, it is for everybody. Take the file LICENSE.DAT and insert it into each model. 8a. Manipulation folder 96859_v22.37 are not necessary, since we need only PRO-version. And the brand of cars, except for the DEMO and EOBD2 folders, you can then delete it to make room on the phone. While you can activate all of these models. How to activate it is written in paragraphs 6-10 of the old method, will not be worse. The only condition – that would work EasyDiag program, there you put the old version of machines Arhive1. But, I repeat, we do not need this program, we need PRO version. 9. Next, copy the folder 96 859 ******* with all it contains a folder XDiagPro3 . The path should be so: cnlaunch / XDiagPro3 / 96 859 ******* / DIAGNOSTIC / VEHICLES / machines brand. 10. Install again the X-DIAG_PRO3_V3.09.015 . Actually, this can put a point. So say the test this method. But they say it can not work. Therefore, I did at another 2 points, not even checking – working or not. 11. If all of a sudden does not work, do the following. From the folder “New Folder” copy files lib.cfg, libDEVICEID.so, libSTD.so, LICENSE.BIN, LICENSE.DAT and paste them into brand cars, which does not work. For example, to insert in the Mercedes V48.20 folder. The path should be so: cnlaunch / XDiagPro3 / 96 859 ******* / DIAGNOSTIC / VEHICLES / BENZ / V48.20 ( I changed all of their brands). 12. Go to your mobile phone – in settings-manager application-EasyDiag. Press “STOP” button. In memory of clean data and cache. The X-DIAG_PRO3 also check the cache. That’s all. I checked in 3 machines – all works !!! Inside archive is only software and 3 brands: Opel, Peugeot and VW. If someone need i can upload rest of them. Install Easydiag from Google Store. Run software, create an account and register your interface. 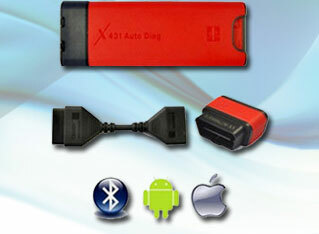 Click on EOBD icon to install free EOBD software. Now go to menu / update, click on the arrow by EOBD, select version 22.37 and download it. Save this file for later. Uninstal Easydiag and delete all folders inside cnlaunch folder. Extract files from downloaded X431PRO_Android.RAR and copy them into cnlaunch folder in your device. Rename 96859XXXXXXX folder with serial number of your interface. Now find your LICENSE.DAT file (you saved it before, right?) and copy into all manufacturers folders. Every thime you add new folder/brand must go to apps / X-431 PRO3 and clear cache and data. © 2019 iPhone OBD2. All rights reserved.